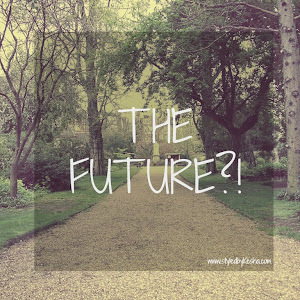 I have been following the ShopBBAR, The Well Blog for a while now and wanted to participate in this months May Link-Up and I'm so excited to finally share my thoughts on this month's theme: THE FUTURE. Please Read Below and ENJOY! 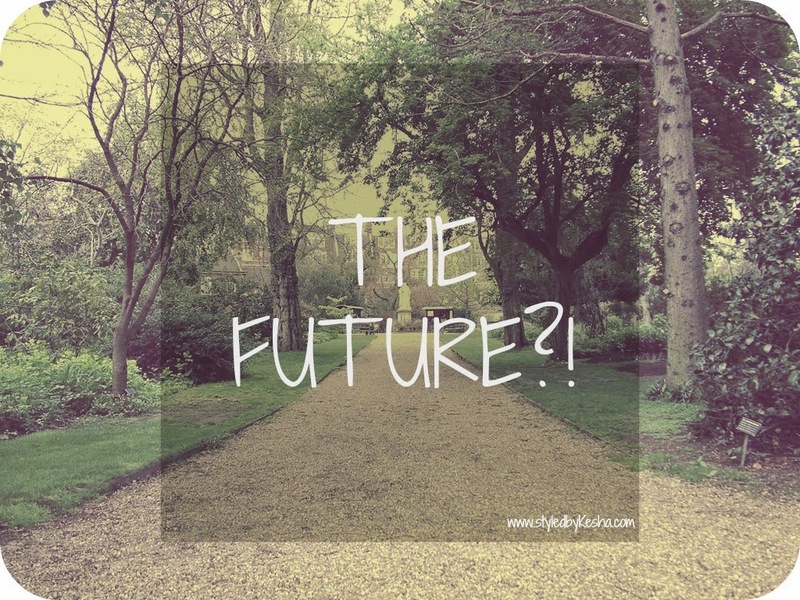 WHAT ARE YOU DOING (NOW) TO PREPARE FOR YOUR FUTURE? So now I see my life in categories creating a list of what I need to work on each month, week, day helps me prioritize and keep realistic achievable goals. Its so satisfying crossing things off the list. These are called my 7 B life goals. It helps me focus on the things that are most important in my life and keeps me humble, honest and authentic. The procrastination video by Alex Ikkon also really helped me create a system and monthly, weekly and daily schedule to stay organized. Reading a daily devotional will helps me stay consistent and keep drawing closer to God and have an intimate relationship with Him. I have always wanted to be a stronger and healthier version of myself and I have wanted to run a marathon. So I'm working toward that with a personal trainer and a workout buddy that keep me accountable and on the path to accomplishing my goal. Eating healthy has always been a goal for me to get more energy, heart healthy, and low cholesterol. So I have started small by not eating fast food, drinking a lot of water instead of sodas and adding the green juice to my diet and cooking more meals at home. All these things will definitely prepares me for a better future long term. 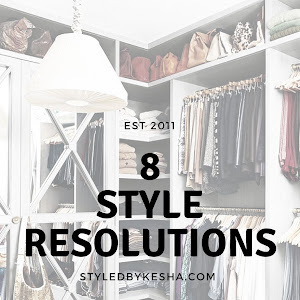 When I started this blog, It was a fashion portfolio of my personal style, fashion education and knowledge to introduce me to the fashion industry. As the blogging scene has changed and I have grown into a style blogger I now want the blog to reflect my unique view on fashion through my African Heritage and culture and creating a business that speaks to these sentiments. I work continuously to become a better blogger my staying true to my blog mission and post on a consistent three to five times a week. Creating a blog schedule and planning ahead is a daily challenge that I am working toward creating a system that works for me. 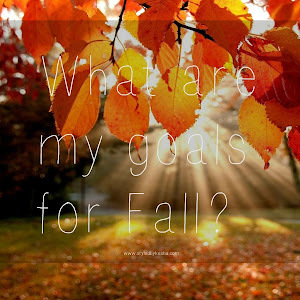 The Well Blog Plan for 2015 helped me organize my goals and mission for the blog. I also have been collaborating and working with my blogger friends and keep the blog consistent each week. To prepare for my future business, I need to always be networking, connecting with other style influencers and educating myself through webinars, Youtube tutorials and conferences and local blogger events. My ultimate goal is to create a styling/marketing studio that represents new African, emerging designers and international fashion brands that want to break into the American Market. I do one day want to be a wife and mother and I'm preparing myself with learning to be a better friend, communicator, organizer and better manage my time, being healthy, becoming a better cook and creating my own recipe book of go to meals I can make on demand. I have always wanted to write a mystery, romantic, adventure novel loosely based on my personal travel adventures to the African Continent. I am also part of an African Literature Book Club that has be appreciating the perspectives from an African Authors in Africa and abroad. I have bought a book that helps you write the first draft in 90 days. It is my goal to have it by done by the end of the summer. All these goals will take me to the future I want to be living in the very near future. WHAT DO YOU THINK YOU SHOULD START DOING TO CREATE A BETTER FUTURE FOR YOURSELF? In order to create a better future for myself I need to start creating a daily system that works for my lifestyle and start implementing, executing and doing the things I have always wanted to do. Its starts with becoming who I want to be. In the past I have written down a yearly to do list then broke it down into monthly, weekly and daily goals so that it is more manageable and achievable. I was scrolling through my Instagram this morning and I read this quote from the Good Morning America Instagram by Robin Roberts. She said "Dream Big but focus small on the day to day things that get you to your goal." This is what I will continue to do. Its a struggle sometimes to create new and exciting content each day but its about consistency and preparation and most importantly execution that will lead me to the opportunities I seek in my future. These small habits of always being teachable and open to growing, learning and correcting will help me succeed to my bigger dream goal of becoming a better me. I do believe in the phrase Preparation + Hard Work = Opportunity = Success! Its something I strive for on a daily basis. Its something that has taught me resiliency and perseverance and constantly having my eyes on the bigger picture of reaching that light at the end of the tunnel. I preparing myself through education of becoming a better friend, sister, daughter, future wife to an amazing husband and all these goals start with small day to day things that get me there and begins with the journey. “The journey of a thousand miles begins with a single step.”-Lao Tzu And thats what will create a better future in my life. Below are all the bloggers who participated in this month's B Bar Link Up! Check out each of them below.